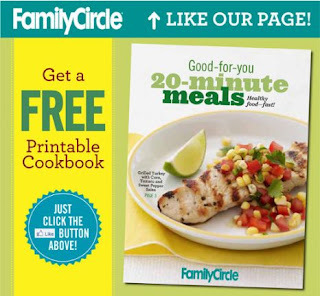 Like Family Circle Magazine on Facebook & get a free 20 Minute Meals Cookbook. Just like them to get access to the ecookbook. Click the link below to go to their Facebook page. Once you click the like a button will come up so you can save a copy.